He is a legend un his time. A man who’s made it and who’s also helping others make it. A man who travels around the world in management seminars for IBM, Xerox, 3M, Sperry Rand and other companies, but whose whole mission is to get into the spirit and heart of individual men and women. A man who offers you the ability to have a tremendous life. 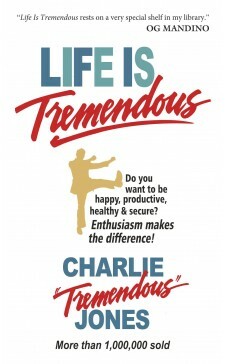 Believing that enthusiasm makes the difference, Charlie shows how anyone can be happy, involved, relevant, and secure in the midst of a high-pressure, commercialized, automated society. It’s a book you will read in an hour and remember for a lifetime. Invest in ‘Life is Tremendous’ today. It may be the best money you’ve ever spent. For decades, audiences worldwide have enjoyed Charlie Jones via audiocassettes, motivational films, books, and seminars. 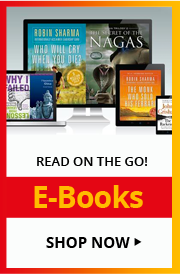 After a successful insurance career, he formed Life Management Services, Inc., and Executive Books, which distributes thousands of his favorite books. He has authored many books, including "Life Is Tremendous -- 7 Laws of Leadership", with more than one million copies in print. A member of the prestigious Speakers Roundtable, Jones has been named one of the top fifty speakers of the twentieth century by the National Speakers Association.